Selected Villas for rent near Whale Watching (Sri Lanka) - Contact us now! 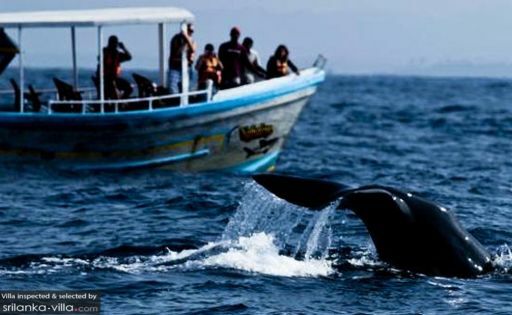 Whale watching is one of the most exciting water activities to be enjoyed with your family, young and old. There are a number of private boat tour companies organising these trips. Visitors should be prepared for an early morning expedition, as most of the boats leave Mirissa Harbour by 7 A.M. Travellers who are not used to sea trips are advised to take sea sick pills before the boat ride.